Is Shade 63 (Brown Sugar) right for you? 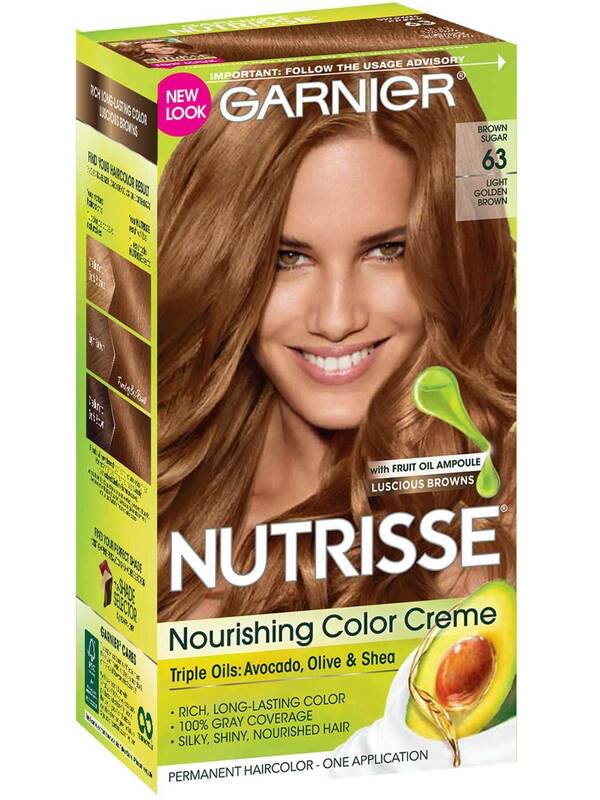 Garnier Nutrisse Light Golden Brown 63 (Brown Sugar) has radiant, golden tones that will add warmth to your results and will provide 100% gray coverage. This shade is best for anyone with natural hair between medium blonde and dark brown. 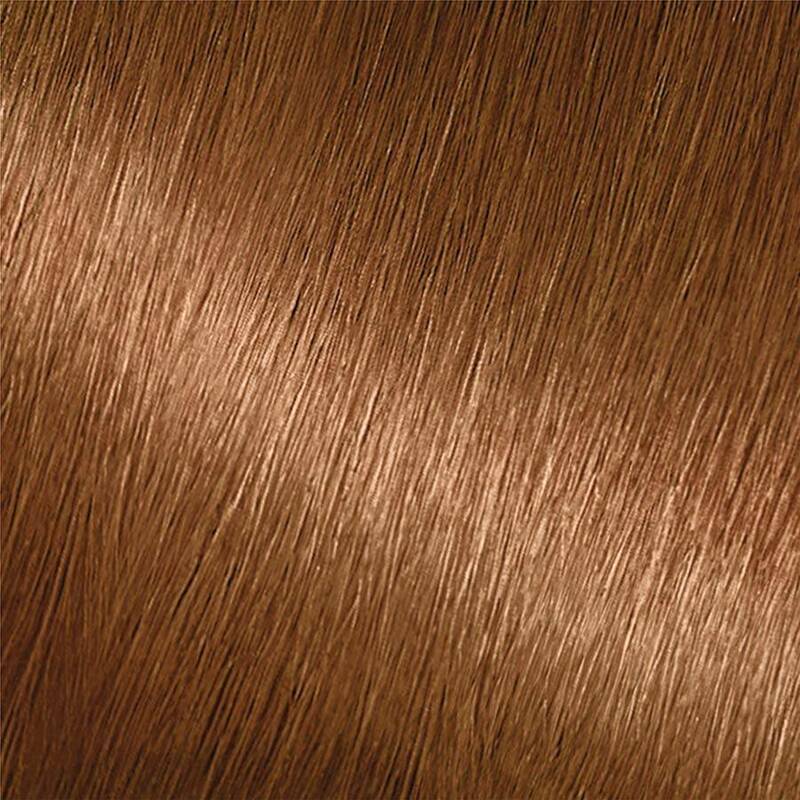 If you would like to try a lighter shade that has golden reflects, try shade 73 (Honey Dip). For a darker shade, try 53 (Chestnut). If you would like to remain in the light brown range but would like to try other reflects and tones, there are many shades to choose from including 60, 61, 643, 66, and 69. *For women with currently color treated hair, there are special considerations for the color result you can achieve. Because of this, we do not recommend shade 63 (Brown Sugar) for hair that has been previously colored Dark Brown 40 (Dark Chocolate) or darker. For more help, use our Shade Selector Tool to find the perfect shade for you! Nutrisse Colorant: Aqua/Water, Cetearyl Alcohol, Propylene Glycol, Deceth-3, Laureth-12, Ammonium Hydroxide, Oleth-30, Lauric Acid, Hexadimethrine Chloride, Glycol Distearate, Polyquaternium-22, Ethanolamine, Silica Dimethyl Silylate, Ci 77891/Titanium Dioxide, P-Aminophenol, M-Aminophenol, Ascorbic Acid, Sodium Metabisulfite, 2-Methylresorcinol, 2-Methyl-5-Hydroxyethylaminophenol, Dimethicone, Pentasodium Pentetate, P-Phenylenediamine, Parfum/Fragrance, Carbomer, Resorcinol, Vitis Vinifera Seed. Fruit Oil Concentrate: Paraffinum Liquidum/Mineral Oil, Vitis Vinifera/Grape Seed Oil, Parfum/Fragrance, Tocopherol, Rosmarinus Officinalis (Rosemary) Extract. Rinse-Out Conditioner: Aqua/Water, Cetearyl Alcohol, Elaeis Guineensis Oil/Palm Oil, Behentrimonium Chloride, Pyrus Malus Extract/Apple Fruit Extract, Glycerin Parfum/Fragrance, Stearamidopropyl Dimethylamine, Niacinamide, Pyridoxine Hcl, Butyrospermum Parkii Butter/Shea Butter, Citric Acid, Olea Europea Oil/Olive Fruit Oil, Saccharum Officinarum Extract/Sugar Cane Extract, Benzyl Alcohol, Chlorhexidine Dihydrochloride, Persea Gratissima Oil/Avocado Oil, Ribes Nigrum Oil/Black Currant Seed Oil, Linalool, Citrus Medica Limonum Peel Extract/Lemon Peel Extract, Ci 19140/Yellow 5, Camellia Sinensis Extract/Camellia Sinensis Leaf Extract, Ci 15985/Yellow 6. Nutrisse Developer: Aqua/Water, Hydrogen Peroxide, Cetearyl Alcohol, Trideceth-2 Carboxamide Mea, Ceteareth-25, Glycerin, Pentasodium Pentetate, Sodium Stannate, Tetrasodium, Pyrophosphate, Phosphoric Acid. Rated 1 out of 5 by Pris27 from Waste of money I used the light golden brown shade, and was expecting to get the light brown shade it shows on the box for dark hair. Nothing close. It’s like I did nothing to my hair. If anything, it actually looks darker now. Very disappointed with this product. Rated 1 out of 5 by Mannysmom from Way too dark I bought this shade because I wanted to get a shade or two lighter than my normal brownish blonde, more like a honey blonde but I ended up with very dark brown and red highlights. Very disappointed in my color results. Rated 5 out of 5 by Rlee from I love this color! I was looking for a rich color for contrast to create a reverse balayage in my platinum blonde hair. 63 Brown Sugar was a great decision! On my pre-bleached hair it came out the perfect shade to help create the depth and dimension I was looking for. It's worth noting that it is a warm color so if you're more suited to cool tones, this one's probably not for you, but it suits my green/gold eyes and medium skin tone perfectly! I like the shade so much that I think I want to do a full head application with it! Rated 5 out of 5 by Mapadill from Help me I have selected this color, I haven't colored my hair in years so I have a lot grey. 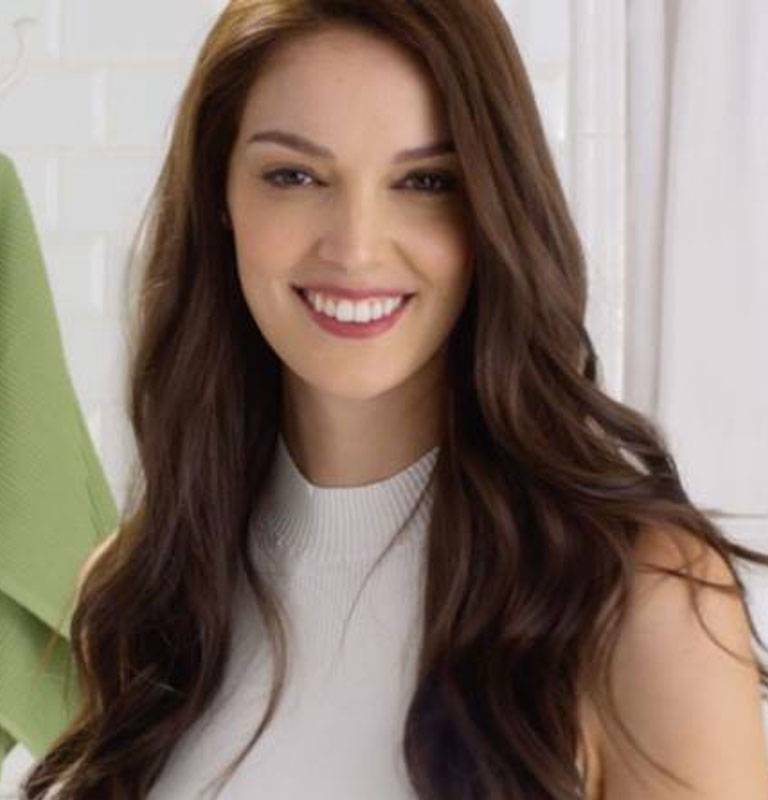 I am Hispanic looking for a light to med brown color.will this work?? Rated 1 out of 5 by Grannysue1996 from Turned orange I have brown hair with a lot of gray coming out on top. I wanted to basically cover the gray and read that you should always go a shade lighter. Well when I got done the gray was orange and the bottom was a orangish, redish brown. NOT what I was hoping for. So the next day I washed it twice, hoping to at least tone it down some. It is less orange now on top, but still a medium to light brown with orange tones. A friend said it looks like I have highlights. The bottom half if now a redish brown. It doesn't look nice at all. I know my mother and my daughter both had their hair go red (sometimes on purpose, sometimes not) when dying it, so I guess we all must have a little red ton in our hair though it doesn't look like it. And I've never had this problem when dying it with other brands. But those other brands didn't cover the gray which is why I tried this since it said 100% gray coverage. I won't be buying this one again. May try a different shade maybe without the golden part, or may just go to a different brand altogether. I also noticed it's not as soft as it was before. I normally use Sleek and Shine shampoo and conditioner and before blow drying I use Smooth Blow Dry Anti-Frizz Cream. All which make my hair very soft and pretty, but right now it looks all dried out. Hoping after after a few more washes the softness comes back and the color goes away. Rated 5 out of 5 by Rella from What color to use? Lat time I dyed my hair was around 1 month and a half. My natural hair is dark brown/black hair and in my last dye my hair dresser colored my hair the same tone dark brown as I wanted just to cover my grays and so I wanted a color as close as my natural hair color. Now I want to color my hair myself but I want to go lighter. So I bought #43 dark golden brown but I am wondering if it is a too dark shade. I want my hair to be a warm color, like a dark caramel brown color. I don't want light as I am spanish so blond won't work for me. I want a brown tone, still in the dark side but with caramel warm. What color do you recommend me to buy? Rated 2 out of 5 by Joy C from Too dark I also got a color that was darker than the color on the box and not the color I wanted. I wanted the color on the box. I was going to try honey dip next in about 6 weeks. Any suggestions?